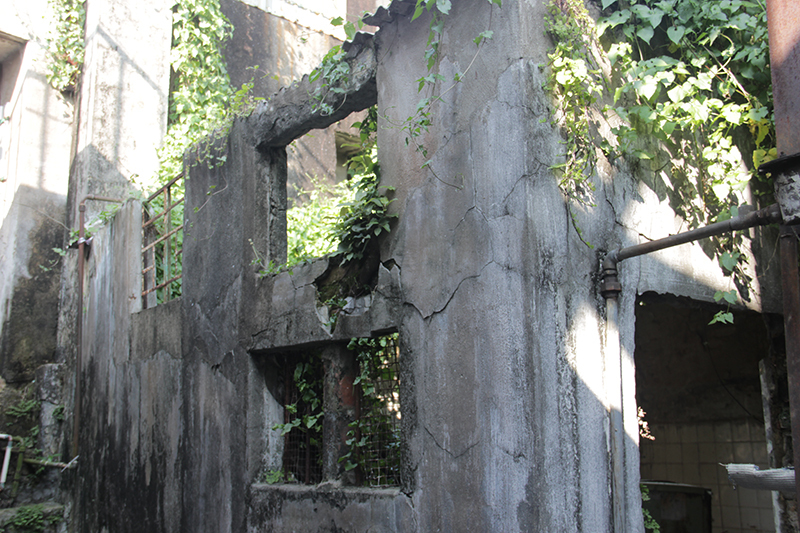 To me, the most memorable element in Pok Fu Lam village is the ruins. Most of the houses and slots there are still occupied by villagers, but several abandoned houses catch my eyes and I would like to document it. 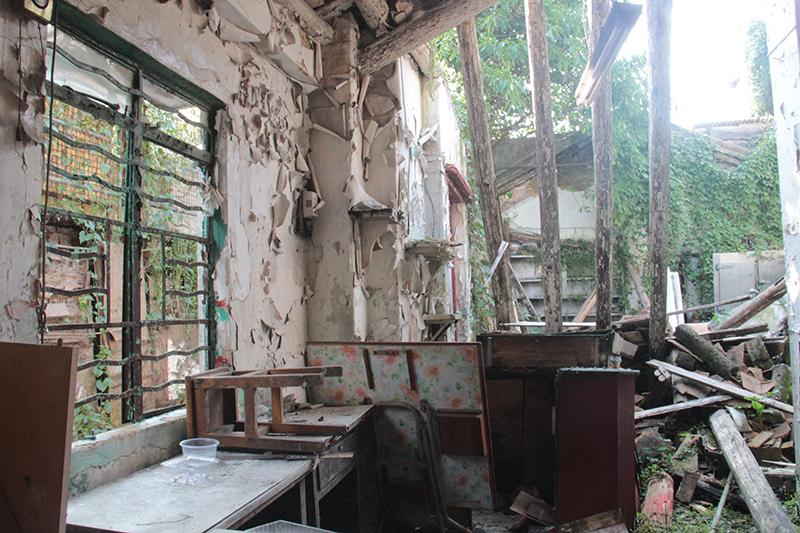 The reason why I found them memorable is that when I looked at the ruins, it gave me a new angle to look at the history of the village. As Daniel had told us, some villagers felt ashamed of being a villager, they left the village and moved to mansions. 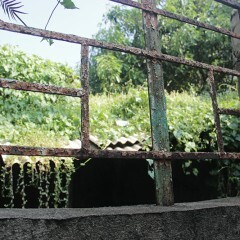 Also, since the village’s economic situation was no longer favorable, many shops were closed up. These ruins are the most valid evidence of his says. Here I tried to classified the ruins into two types, the abandoned one and the evacuated one. 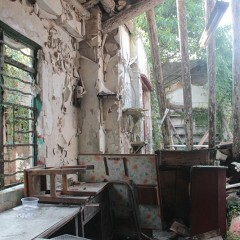 The abandoned ones are houses which the interior settings are still kept. 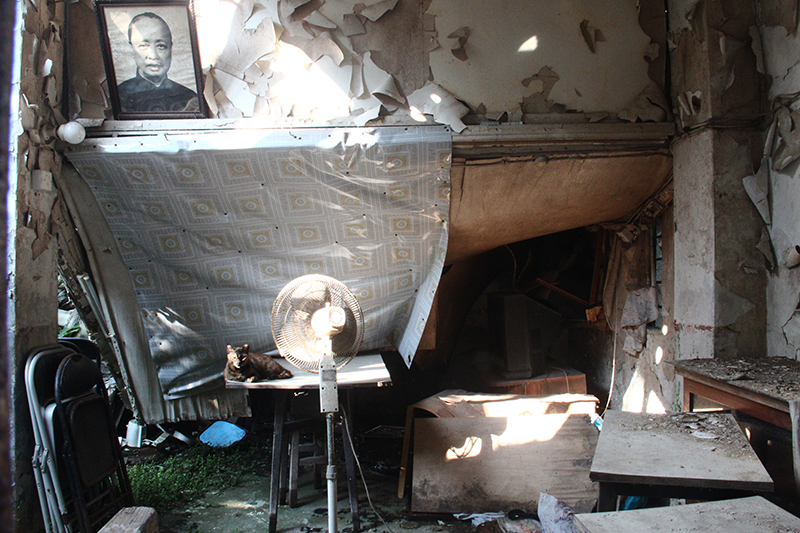 Due to the process of erosion, the ruins are in a chaotic stage, with the doors and window broken, the crossbeam collapsed, etc. The second ones are the evacuated type. 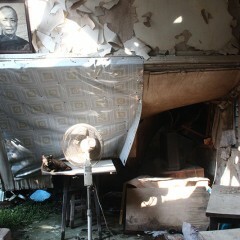 All the stuff originally are being evacuated, only the structural frameworks of the house are left behind. Some of these ruins are colonized by vegetation and grass. 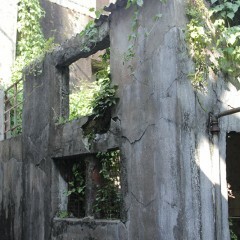 I am particularly interested in this ruin (see photo 6 & 7), it was originally occupied by a restaurant called Kwan Kee. The shop sign is blurred now, and through the broken window I can see the outline of the resturant. 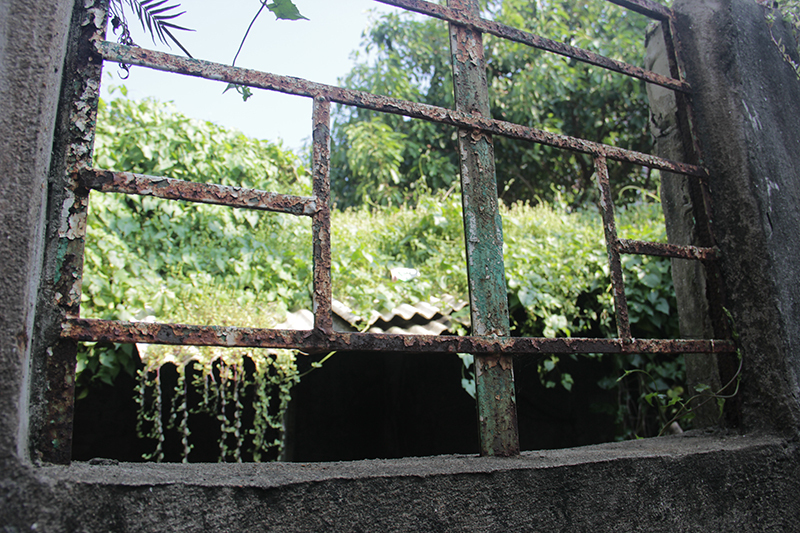 It gives me a strong sense of sadness as the vibrant situation of the village was over, and the memories are progressively submerged and forgotten by people as time passes. What is the possible way out for these ruins in order to reserve and enhance their historical value?